Last night as we all know (unless you have been living under a rock!) 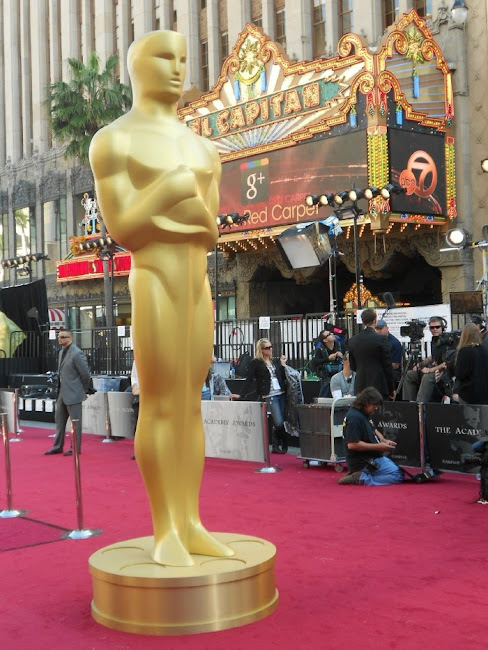 was the Academy Awards! 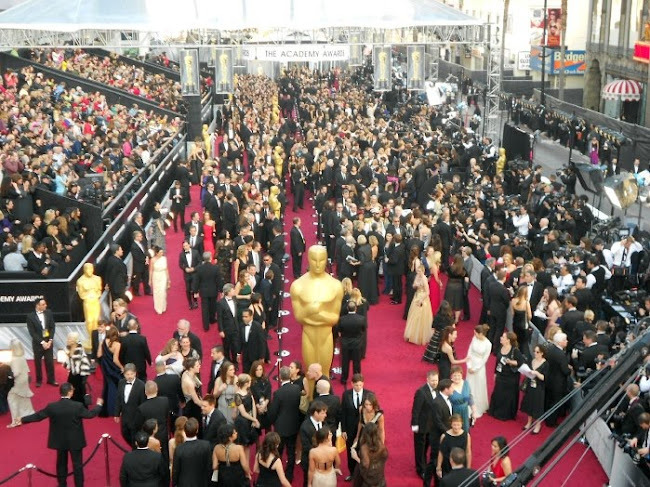 Not only is it the "Super Bowl" of Film...but also for FASHION!!! 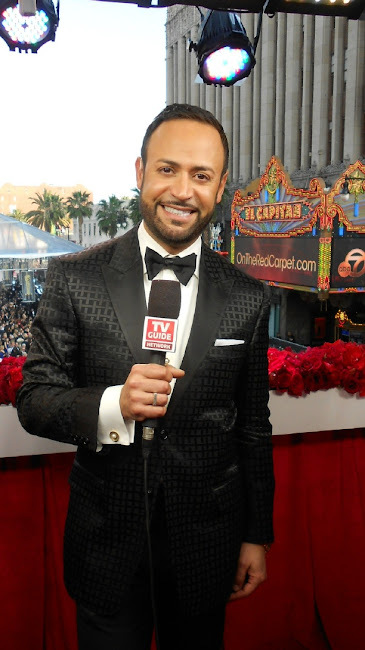 I was honored and humbled to be asked back to join the TV Guide Network Academy Awards Coverage Team and be the "Fashion Guy" and give my immediate and LIVE "Nick Two Cents" beginning in the Countdown Show as well as the Red Carpet LIVE show Hosted by Chris Harrison. 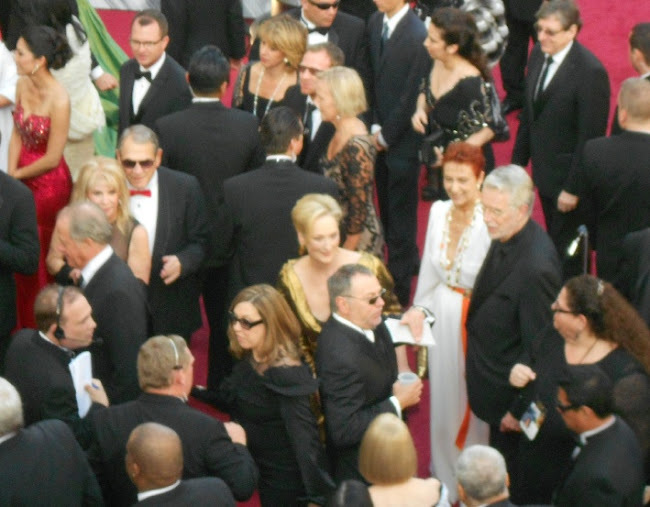 I was on the "Bridge" about 20 feet above the Academy Awards Red Carpet in the formerly-known-as-the-Kodak Theater with Tabatha Coffey--my Fashion Wrap Sistah!--as well as Maria Sansone. Maria was our "ringleader" and she was absolutely FABULOUS!! Loved her and her gold sequined gown! Speaking of gowns, of course, Miss Tabatha looked stunning in her black silk taffeta strapless Mermaid-shape ensemble. LOVED those pockets Miss Tabatha!! 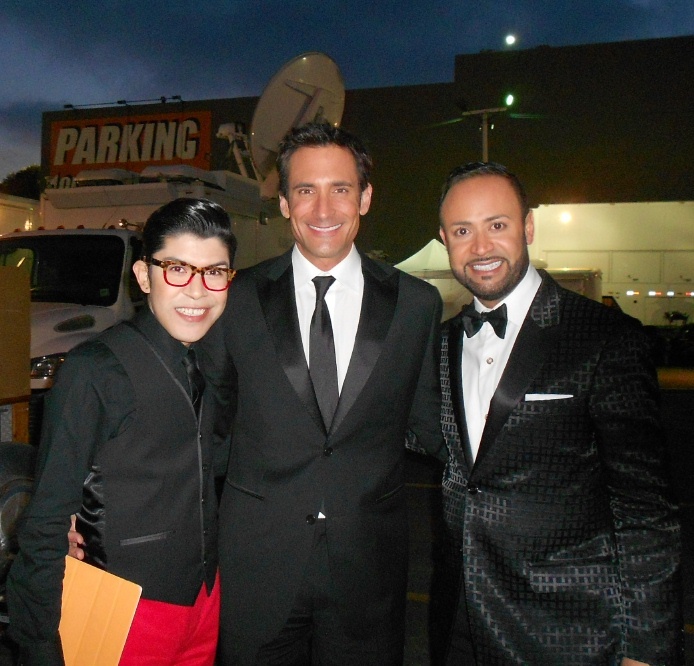 We were positioned next to ABC Local Oscars Coverage Team (with former Supermodel Roshumba Williams!) and Access Hollywood. 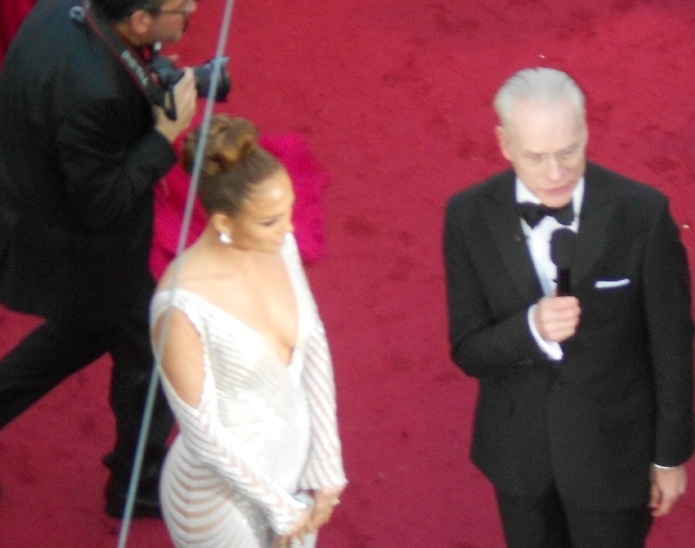 Also up in the Balcony were EXTRA, Entertainment Tonight, and CNN Showbiz Tonight, among others. 84th Annual Academy Awards Red Carpet--View from the "Bridge"
We had a PERFECT position atop the red carpet looking down at the entire "show". We were LIVE when Sacha Baron Cohen (as "The Dictator") dumped the "ashes" Ryan Seacrest, as well as having a bird's eye view when all the stars arrived, one after another. I can't even describe the excitement of being there--and especially being right ABOVE them!!! We filmed our Countdown and Live Red Carpet Show and before we could pronounce "Haute Couture"...it was OVER! Well, our filming was, but not our Red Carpet oogling!! 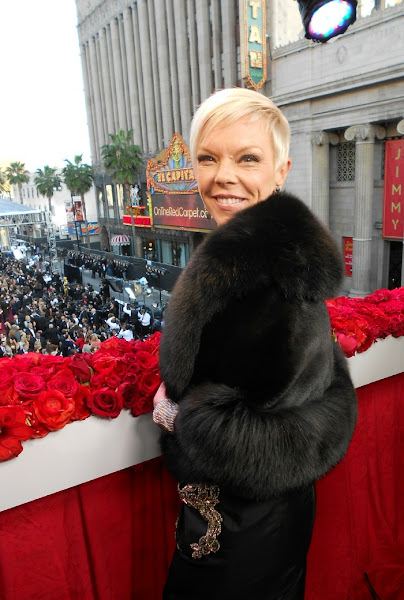 Tabatha Fierce: It was cold up there on our balcony location and soon Miss Tabatha Coffey got her fur mini-cape on! 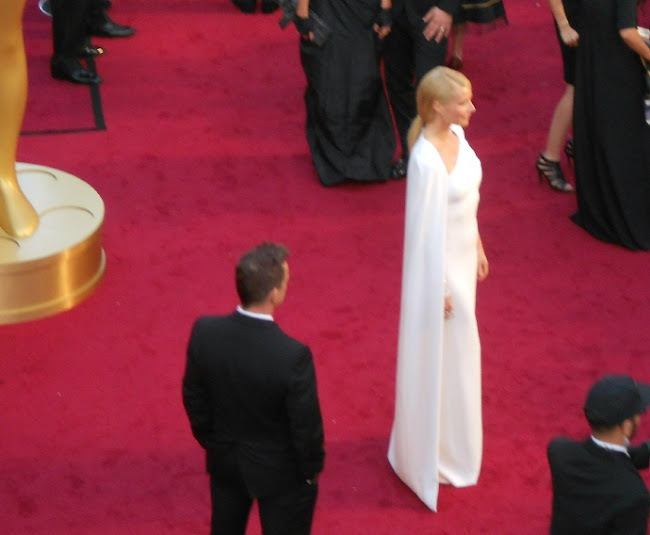 She looked fabulous and chic--and kept herself warm as well! How you say "You Go Girl!" in Australian slang??? 0 Response to "NICK APPEARANCES.....TV Guide Network Academy Awards Countdown Red Carpet Shows"